http://www.thehindu.com/news/cities/mumbai/entertainment/article8439992.ece Alex Gino’s book George starts with its eponymous protagonist poring over fashion magazines. The fourth grader reads about make-up, even though she’s never worn it but tries to imagine herself with a slash of lipstick. George, we find out, doesn’t like her name much, preferring to think of herself as Melissa. She also wants to play Charlotte in the school play, but it’s looking impossible. Her brother teases her, saying she’s got girls on her mind. She does, only not in the way her brother thinks. That’s because George is a boy who actually identifies himself as a girl. George is one of the slew of international books that gently explain the confusion and discrimination transgender people face. These books reinforce the fact that gender is something children learn from social conditioning – their parents, peers, schools define what it means to be a boy or a girl. And when a child like George strongly feels he is a girl, he finds himself alienated, bullied viciously at school. George is nothing but a mere reflection of real life. Recently, I came across India’s Youth Speak Out About Higher Education, a report prepared by UNESCO Mahatma Gandhi Institute of Education for Peace and Sustainable Development (MGIEP) to Support Ministry of Human Resources Development’s 2015 Revision of the National Education Policy. The report included 44 transgender respondents and the findings were telling. The data suggested that “bias about gender and sexuality is, unfortunately, common in Indian higher education, and must be addressed”. As many as 85 per cent of the transgender respondents had never been enrolled in an institution of higher education. The reasons were multifarious, ranging from family constraints, and social unrest at their native places, to lack of financial support. Some dropped out after they felt they weren’t accepted by their peers. In 2014, the HRD Ministry advised all States and Union Territories (except J&K) to include “third gender” children as part of the socially and educationally backward classes for admission under the Sarva Siksha Abhiyan. Yet, apart from reservation, there’s a lot that needs to be addressed to makes schools and colleges more inclusive for transgender students. The fictional George’s best friend, Kelly, on the other hand, is more accepting. And that makes a world of a difference for George. It’s the same for David Piper, the protagonist of Lisa Williamson’s book, The Art of Being Normal . His two best friends couldn’t care less, unlike most of his school mates. Both books are written with sensitivity and a keen perception about young adults and children struggling to understand gender identity. 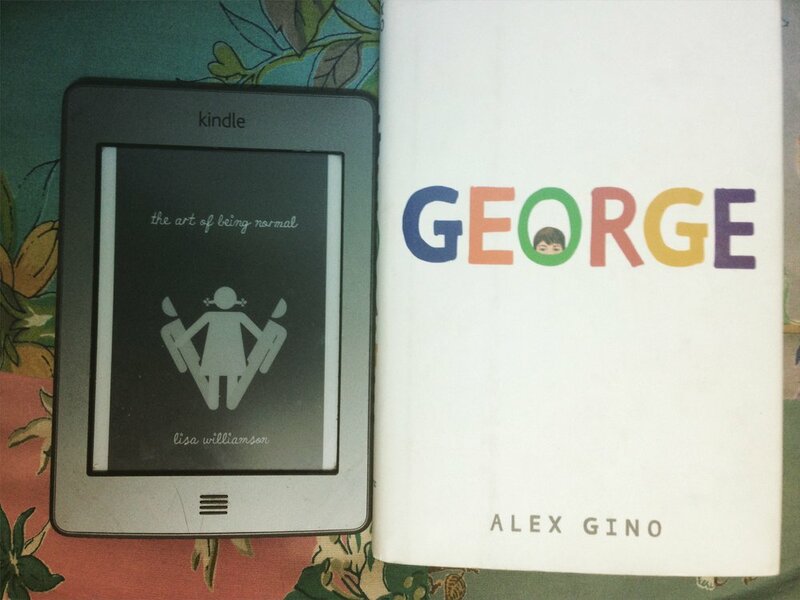 Books like George and The Art of Being Normal are few and far between. They are powerful stories with well-etched characters. These stories help children feel it’s okay to be different, and as Gino puts it, it’s okay to “be who you are”.